In 2017, NEAC has conducted research on Asian tourism under the theme of ‘Travelling Asia and Geographical Imaginaries.’ The phenomenon of youke (遊客, Chinese tourists) whose number exceeds a hundred million people per year symbolizes high economic growth in China, and its economic impact has become difficult to ignore. NEAC seeks to investigate not only the economic ripple effects, but also the social and cultural effects of China’s rise on the surrounding countries focusing on the youke phenomenon in Korea, Japan, and Taiwan. Moreover, case studies have been conducted on the experiences of tourists in Korea, China, and Japan. In addition, the North Korean state of affairs represented by the nuclear crisis is an intensified expression of the regional conflicts surrounding US-China power transition which also are critical parameters. NEAC will attempt to rebalance the one-sided image of North Korea as an irrational rogue state by examining the country from various angles through a project entitled “De-demonizing North Korea,” jointly conducted with research institutions in Northern Europe that are relatively unaffected by internal conflicts and antagonisms of Northeast Asia. In 2017, NEAC focused on the experiences of tourists through conducting research on East Asian tourism that overcomes the existing industrial and economic discourses by examining the social and cultural values of tourism. Especially, along with rapid economic growth and the Shaokang (小康) era that pursues the cultivation of middle class and quality of life, the boom in overseas travelling by the Chinese youke is expected to expand. Case studies have been co-conducted on East Asian tourism by Korean, Chinese, and Japanese researchers and an international conference was held on the tourists’ image of the place and their recognition of the local culture, consumer culture and characteristics, and travel experiences and values. 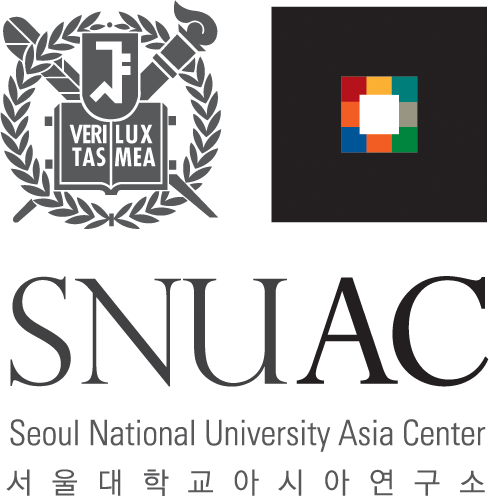 The results were published in the Asia Review, an academic journal of SNUAC. In 2018, NEAC will expand its research scope in line with NEAC’s activities through the Asia Regional Research Center Council. Led by the director of NEAC, it is also conducting a collaborative research project on the Trilateral Integration Index, which entails developing a metric for measuring the level of integration among Northeast Asian economies – China, Japan, and South Korea. As for research output and dissemination, the following research projects are currently ongoing intended for publications in academic journals: 1) Trade and currency conflict between US-Northeast Asia, and the effects of protectionism under Trump on the international trading system, 2) The paradox of South Korean foreign policy, 3) China’s expansion in the Middle East, 4) The changing dynamics of energy trade in the aftermath of the shale gas revolution. Lee, J. H. (2017). Imagery of North Korea in Daily Life of Chinese People. Zininzin. Nam, E. Y. (2018). Changes in Family Values: From Traditional Familism to Selective Familsm? Looking back on the changes in Korean society. Zininzin. Lee, J. H. (2017). North Korea and the North Korean nuclear issue as reflected in the Chinese on-line debate forum. Asia Review, 7(1). Lee, J. H. (2017). The expansion of Chinese nationalism in the 1990s and the publication of China Can Say “No” and China is Unhappy. The Journal of Humanities, 38(3). Lee, J. H. (2017). The trajectory of Jia Zhangke`s film and new attempt on Tianzhuding. The Journal of Chinese Language & Literature, 60. Lee, J. H. (2017). The image of character in Mountains May Depart and Jia Zhangke’s Transformation. The Journal of Modern Chinese Literature, 83. Nam, E. Y. (2018). Comparison of life satisfaction in Korea and Japan: Focusing on influence of social integration factors. Journal of Social Security, 34(1). Nam, E. Y. (2017). Chinese tourists’ gaze and travel experiences in Korea, Asia Review, 6(1).